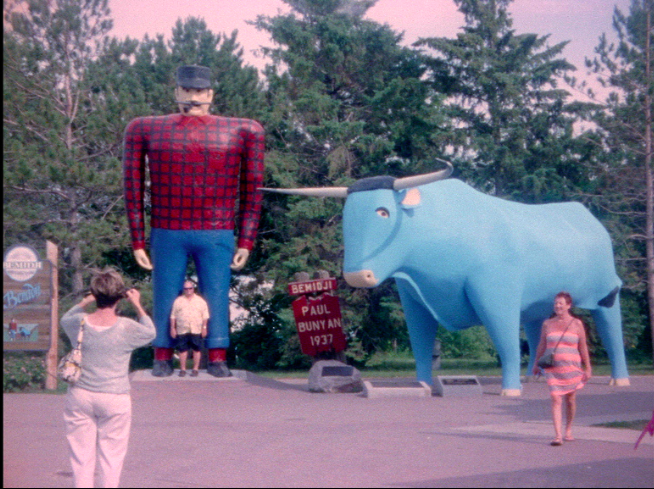 A still from a Nik Nerburn's short film and accompanying three-channel video installation exploring Minnesota's white colonial legacy, the U.S.-Dakota War and the myth of Paul Bunyan. 2014. Courtesy the artist. 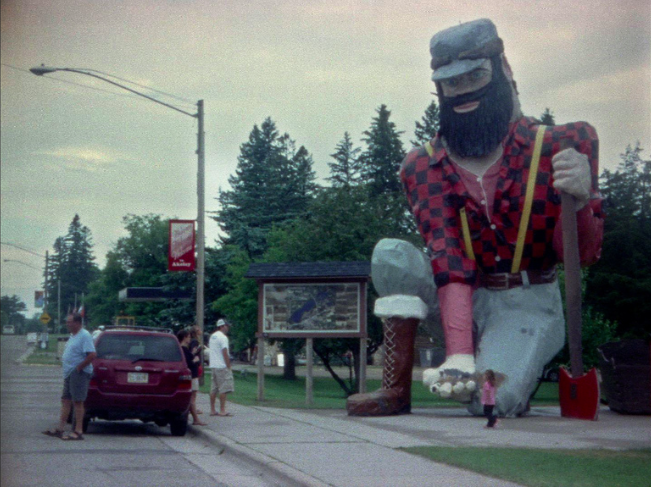 In the Shadow of Paul Bunyan is a three-channel video installation that juxtaposes images of Minnesota’s white colonial legacy, the U.S.–Dakota War, and the myth of Paul Bunyan, projected onto the Cowles Center for Dance and Performing Arts, directly across from the Lumber Exchange Building in downtown Minneapolis. The Lumber Exchange Building was built in 1885 and was the meeting place for the real Paul Bunyans (as well as the bankers, investors, and lumber barons who enabled them), making it a perfect screen for an experimental reinterpretation of the Paul Bunyan myth. Two screens show classic images of Paul, including the famous 1958 Walt Disney cartoon and rarely seen 16mm footage from the 1937 winter carnival in Bemidji. The third screen features images of historical sites memorializing the U.S.–Dakota War and the subsequent hanging in 1862 of thirty-eight Sioux warriors in the largest mass execution in U.S. history. 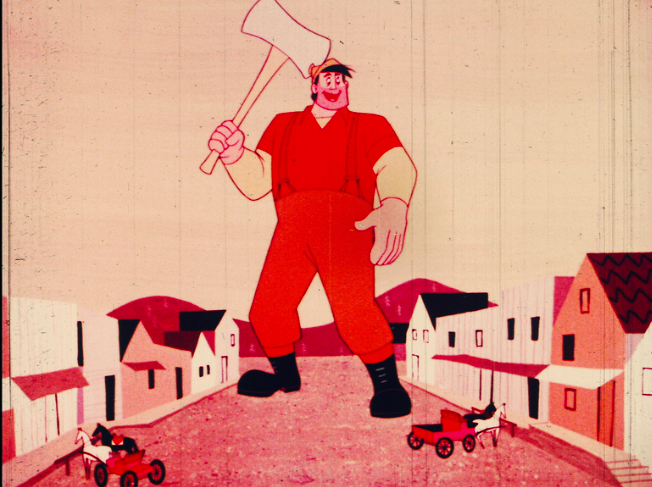 In the Shadow of Paul Bunyan attempts to collapse the violent history of Minnesota’s colonization and the Paul Bunyan myth into a single narrative. Rather than being a sad footnote to our state’s history, indigenous displacement continues through the erasure of Native histories and the ongoing Paul Bunyanization of these landscapes we call Minnesota.